Dexter-Huron Metropark is located on the banks of the Huron River in Washtenaw County, Michigan. The park forms part of the Huron-Clinton system of parks, and there is no doubt that there are a substantial number of things for the family to do when venturing into the park area. Covering a large area, the park has three distinct picnic areas which come with stunning views and the ability to thoroughly enjoy the countryside that surrounds you. Also, the picnic areas are safe so there’s no reason for you to worry about your children as they can run around and explore the area. Aside from going for a picnic, there are also set play areas as well as the ability to fish and canoe on the river. In order to do all of this, you will require a vehicle permit in order to access the park in the first place. This can come either as a daily permit or there are annual permits available should you want to visit the park on a number of occasions throughout the year. The park also contains a large number of trails to explore, and this is something that can be done on foot or bicycle. Nothing is deemed as being too strenuous in this regard, so it will be suitable for people of all abilities or physical strengths. The park is a good mixture of being well maintained while also allowing nature to take its course wherever possible. The trails are kept neat enough for you to explore them and there are enough facilities without it feeling as if everything is too commercialized. This is very much a park where you are left to your own devices. 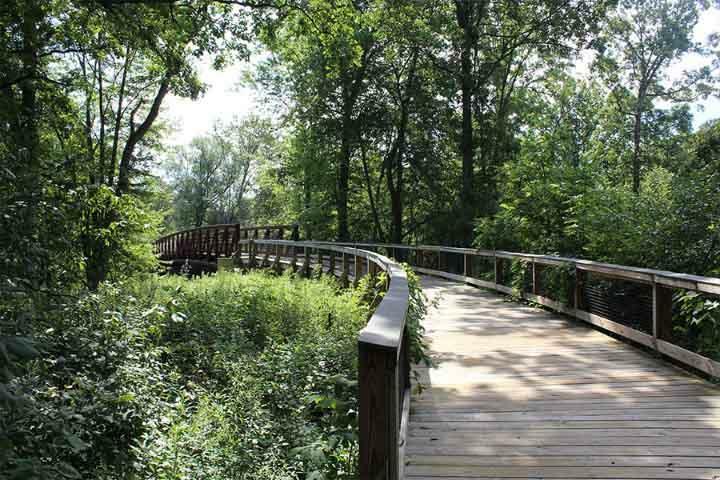 The Dexter-Huron Metropark is a wonderful place for you and your family to explore at various times throughout the year. It may not have a significant amount of shelter if the weather is poor, but there’s no doubt that during the summer this park can become a hive of activity. However, thanks to the sheer size of the park, it’s still possible to find that quiet spot and just soak up the environment that then surrounds you. Overall, it is well worth a visit.